So much amazing music comes out all of the time. I review what I can as quickly as I can, working my physical and digital piles as efficiently as possible, but things fall between the cracks. Rather than giving up on things that are a little past their prime, contemporary-review-standards-wise, I’m going back for the overflow that deserves to be heard — even if it’s a little late. The deal. 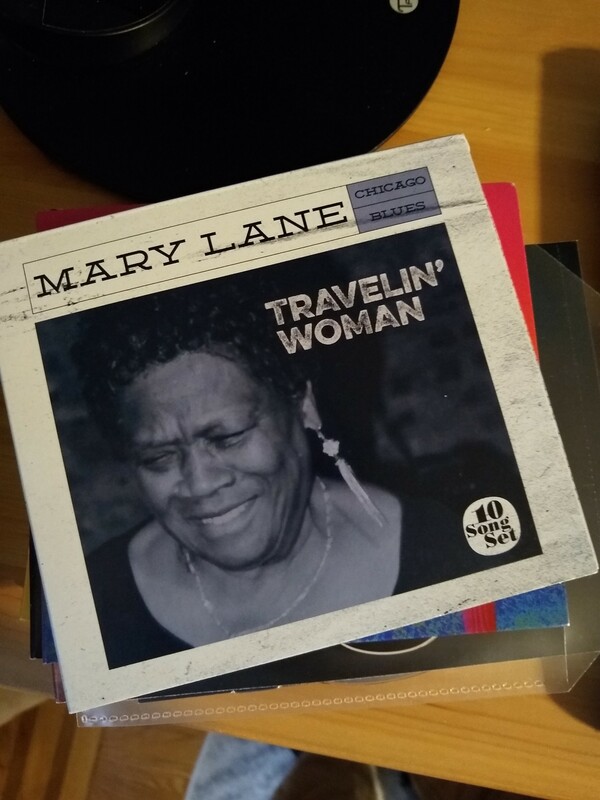 Mary Lane is 83-years-old. 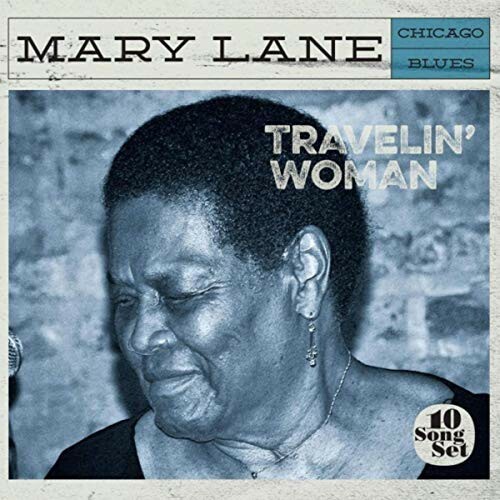 She’s a local Chicago blues legend and this is just her second album (her first one wasn’t released until the early 1990s). Travelin’ Woman is an upbeat collection of ten originals featuring her rich voice working beautifully with some top-notch musicians. The joy of the album is that she sounds like an older person. Her age comes through, which somewhat counterintuitively, gives the performances a liveliness. You feel like you’re listening to a real person sing. You don’t, however, feel like you’re listening to an old person sing. Her voice is strong and works hard — without struggling — against various configurations of backing band. Lane and her producer, Jim Tullio, aren’t afraid to let the band members shine. For instance, “Bad Luck and Trouble,” features Dave Specter’s guitar and Chris “Hambon” Cameron’s piano scampering throughout the song. It gives the track a great live energy, but Lane’s vocals always maintain control of the song. The album is pretty much full-throttle throughout, but one of the gentler tracks is “Make Up Your Mind,” her duet with Colin Linden, the singer/songwriter/producer best known for his work as the Nashville musical director (please check out his album with Luther Dickinson, which shows how great he can be). Linden does his thing with a dobro and Lane does her with her vocals. It’s intimate and lets you hear Lane’s voice in a purer form. It’s an incredibly sweet, honest, moment. Straight talk. Lane had a hand in all of the album’s songwriting, which is awesome. Too many of today’s blues artists rely either on blues standards or awful things written by other people. Lane’s songs are good, but a few covers would have resonated more, giving the album more of a familiar feel. A blues standard would have been great, but a non-blues cover, done in Lane’s high-energy blues style, might have lifted the album even more. The confession. I didn’t find an outlet for this because while the performances are great, the songwriting is fairly generic. It took me a while to appreciate just how good the album is, and by that time, I had blown past the release date. Closing arguments: Lane’s vocals have a guilelessness about them. She’s not trying to sound like anyone but herself. She doesn’t have a pretty or sultry voice, but it’s powerful. While it might sound like a weird comparison, she’s what Howlin’ Wolf would have sounded like had he been an 83-year-old woman. Lane is also the subject of a documentary, I Can Only Be Mary Lane, so at 83-years-old, she’s finally getting the recognition she deserves. In many ways, it’s even more impressive that Lane has worked for as long as she has, with so much talent, yet without forming more of a national (and international) presence. Hopefully, between the album and the documentary, she’ll remedy the oversight. Hockey lover. Linux lover. Music lover. I write about the latter two. Rather than giving up on reviewing albums that are a little past their prime, contemporary-review-standards-wise, I’m going back for the overflow that deserves to be heard — even if it’s a little late. I’m no hero. I just have a low guilt threshold.